Turbo squeegees work well to remove excess water from under window film. Handle allows you to apply a good amount of pressure on film to remove water efficiently. 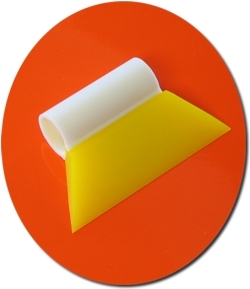 One (1) 3.5” (88.9mm) Turbo Squeegee provided.